Chaz Bear’s new project has been uploaded a day early. 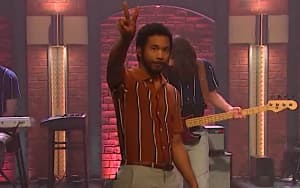 Boo Boo, Chaz Bear's fifth studio album as Toro Y Moi, is available to stream on Youtube one day ahead of its July 7 release. Stream it above, along with some visuals set inside a moving car. Boo Boo contains the previously released sultry synth-led songs "You and I" and "Girl Like You." In a statement, Bear said that the album was written to help him cope with an identity crisis caused by his growing popularity. The album's direction was inspired by artists like Travis Scott, Daft Punk, Frank Ocean, and Oneohtrix Point Never. "I recognized that the common thread between these artists was their attention to a feeling of space, or lack thereof," Bear wrote. "I decided that I wanted to make a Pop record with these ideas in mind." Listen to Toro y Moi's Boo Boo above and buy it here at Carpark Records when it drops on July 7.